With simple, traditional designs, Forte faucets tastefully complement both classic and contemporary bathroom decor. Complete your Forte bath with this stylish bath faucet trim featuring traditional lever handles and a classical silhouette. When paired with high-flow ceramic disc valves, this trim offers optimal performance. Combining a sleek profile with enhanced utility, Loure introduces a classically modern look to your bath decor. This valve trim includes a lever handle with push-button diverter. Pair this trim with a Rite-Temp(R) pressure-balancing valve, which maintains your desired water temperature during pressure fluctuations. Purist faucets and accessories combine simple, architectural forms with sensual design lines and careful detailing. Capturing the style of minimalist design, this Purist valve trim features an ergonomic cross handle for easy control. Pair this trim with a MasterShower(R) 2- or 3-way transfer valve to create a personalized shower experience. Margaux Valve Trim With Lever Handle For Volume Control Valve, Requires Valve, Polished Chrome Redefine traditional styling with this lever-shaped Margaux bath handle. Featuring a strong modern design that commands attention, this ergonomic lever handle allows you to easily turn on and control the water pressure with a single twist. 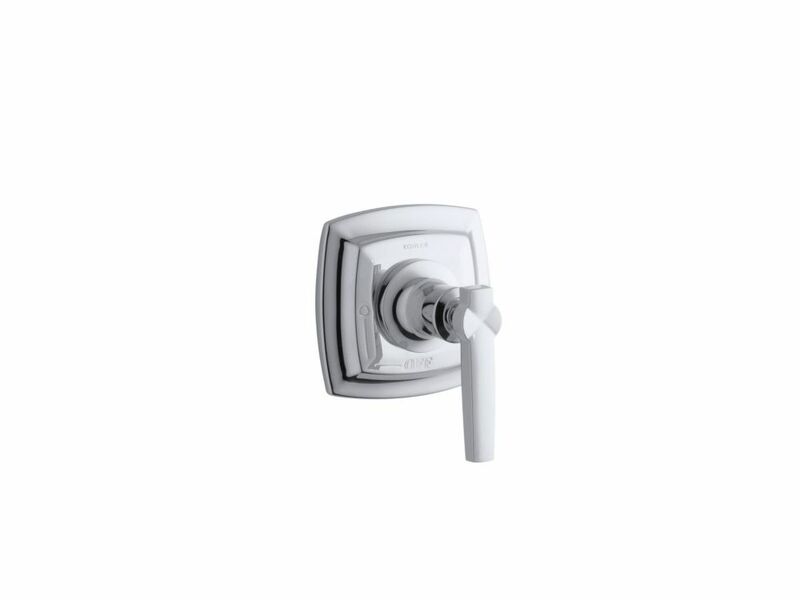 Pair this trim with a MasterShower(R) volume control valve for precise water flow.